One of the biggest parts of work as a Public Diplomacy (PD) Officer is telling the story of what the United States is doing. For me, that's specifically what the U.S. is doing here in Kenya - which is a lot. 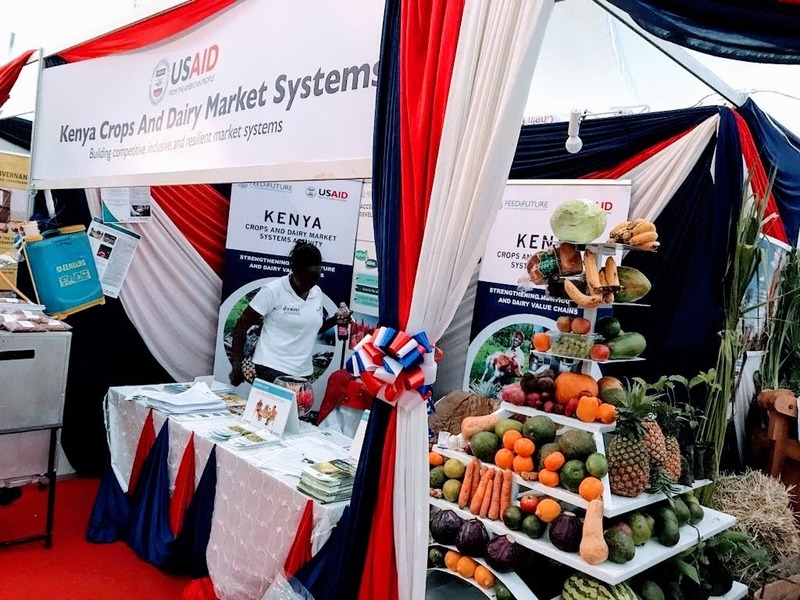 The United States and Kenya have been close allies for over 50 years, and the U.S. government currently provides nearly $1 billion (100 billion Kenyan shillings) in annual assistance to Kenya. This includes providing military equipment to help our partner fight terrorist organizations like al-Shabaab, supporting early childhood education, and fighting female genital mutilation (FGM). Our public health investment is the largest of all. For example, we fund life-saving antiretrovirals for over 1 million HIV positive Kenyans. 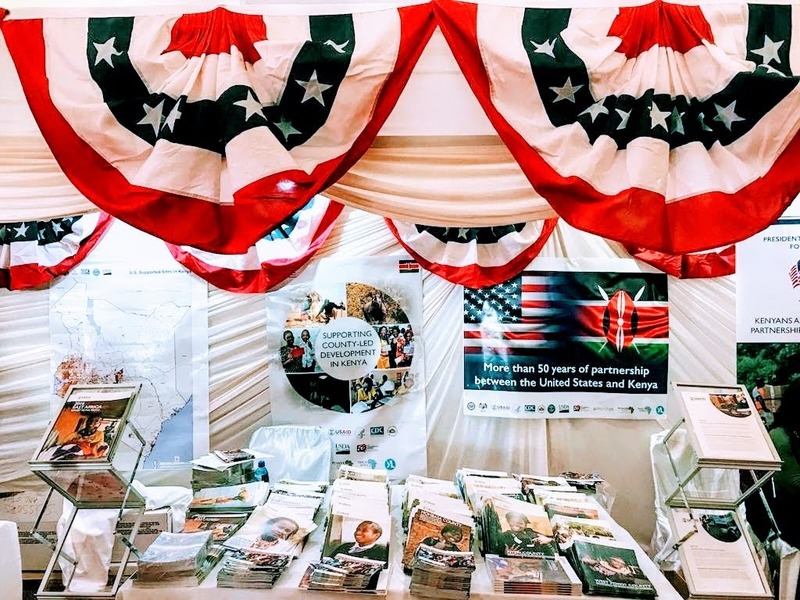 So suffice it to say, the U.S. Mission to Kenya has a much bigger role than what most people imagine when they think of the Embassy: traditional Political work. We also engage on many levels other than the bilateral relationship between the U.S. government and the Kenyan national government. We connect with county and local governments, civil society organizations, schools, nonprofits, businesses, and many citizens and youth directly. 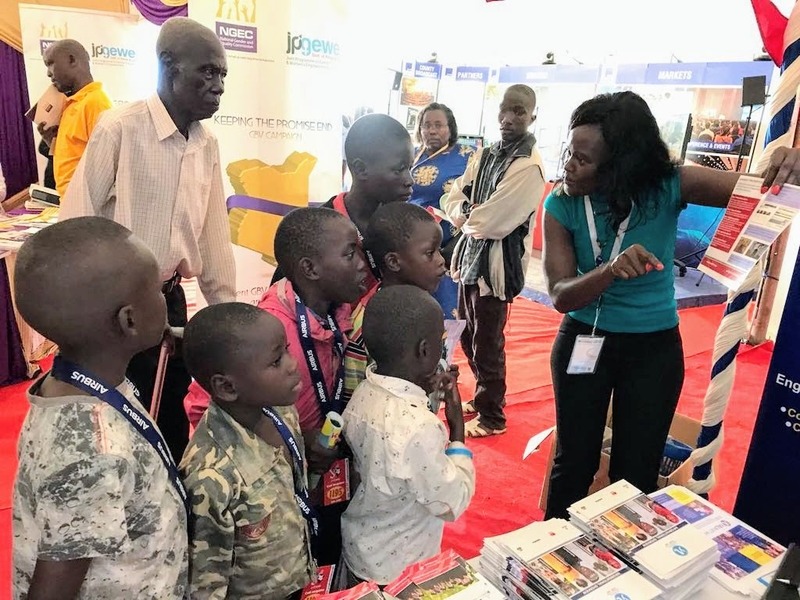 So that brings me to our most recent outreach effort: the exhibition at Kenya's annual Devolution Conference (a symposium for anyone who's anyone in subnational government, development, or partnerships in Kenya). This year it was held in Kakamega, a town in the western part of Kenya I hadn't visited before. As you can see from the photo above, we didn't have a lot to work with when we arrived at the conference. This was not the impactful "AMERICA!" display we wanted. Thankfully, many hours (and decor negotiations) later, we had more of the desired effect. In the end, we mounted an impressive interagency effort. Through staff and/or materials distributed at our booth, we were able to represent Public Affairs (my section), the Economic section (ECON), the Foreign Commercial Service (FCS), the Foreign Agricultural Service (FAS), U.S. Agency for International Development (USAID), the Centers for Disease Control (CDC), and the U.S. President's Emergency Plan for AIDS Relief (PEPFAR) in Kenya. I spent three days talking myself hoarse (and at least in the above photo, pulling off a "Y U NO" stance) to hundreds of visitors about EducationUSA (our office to assist international students who want to study at U.S. universities), the Young African Leaders Initiative (YALI, our leadership training for African youth), the Ambassador's Special Self-Help Fund (small grants for community groups to support projects with long-term impact), and other programs. I was also grateful to be joined by one of our rockstar YALI alumni, Lydia Munikah. She went to the U.S. for the exchange program in 2014 and has been mentoring and empowering youth and women across Kenya since. She had so much energy and passion that she helped everyone - booth staff and visitors - get even more excited about our programs. Most importantly, many visitors expressed surprise and delight at how much we actually do in Kenya. 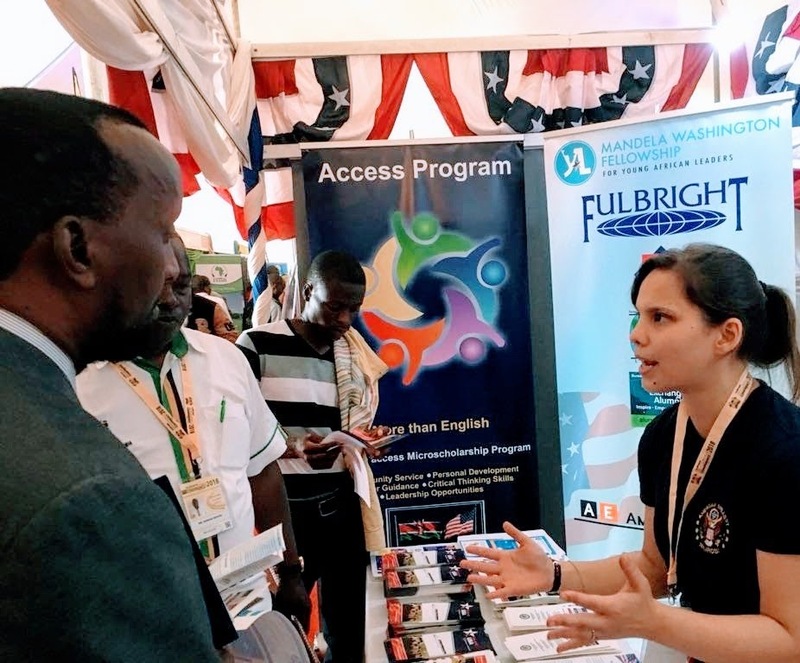 I even got to debunk two recurring pieces of fake news: that President Trump banned all U.S. visas for Kenyans and that the U.S. military was actively recruiting and providing scholarships to Kenyan youth with no U.S. ties. 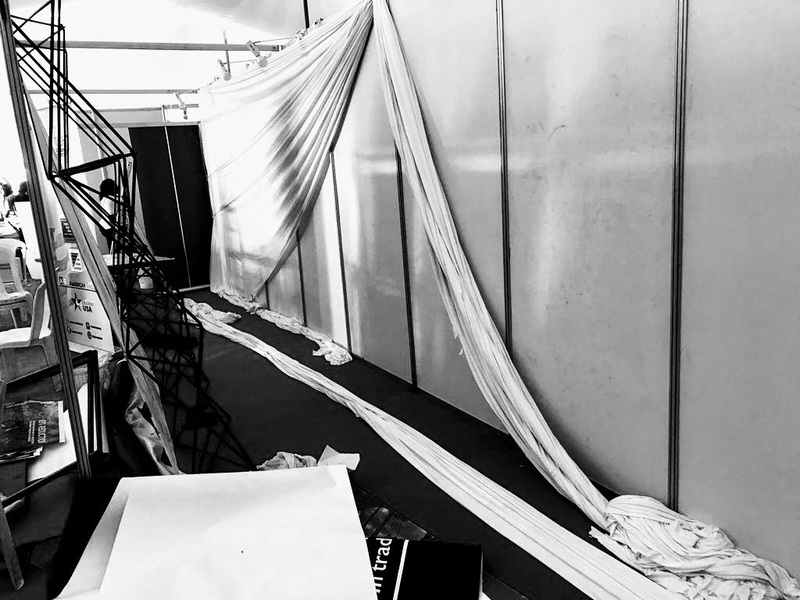 So after a long week of long days, we packed up for Nairobi. Although we lack the hard statistics many prefer to measure success, we considered our mission accomplished. We not only talked directly to hundreds of conference attendees but also distributed materials to politicians, school administrators, businessmen, non-governmental organizations, and many others who promised to share them with their contacts, clients, students, associates, family, and friends. Besides getting information out, we made real human connections with many people. These encounters, though brief, often leave a lasting, meaningful impression of the United States. So despite the fact that this is some of PD's most exhausting work, I've found it also some of the most worthwhile. 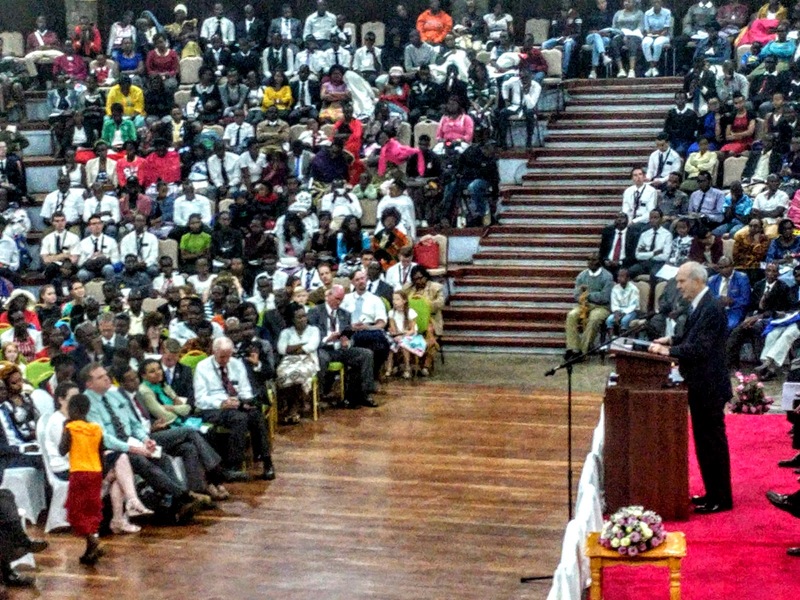 President Nelson Came to Kenya! 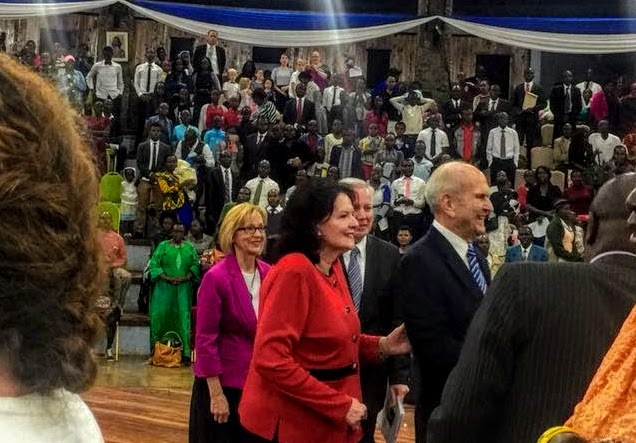 This week, President Nelson, prophet and leader of the Church of Jesus Christ of Latter-day Saints (LDS Church) - who many non-Church members might recognize as an internationally renowned heart surgeon and medical researcher - came to Kenya! Even if you're not Mormon, it's still a big deal when someone who heads a global religion with over 16 million members visits your city. As I described him to my co-workers when explaining I was taking half the day off to go get a good seat, "he's like the Mormon Pope!" The analogy to the Catholic Pope isn't really a good one because our theologies are so different. (One joke goes: "Catholics say the pope is infallible but don't really believe it; Mormons say the prophet is fallible but don't really believe it.") I only make the comparison to highlight that the LDS Church is a centralized one with a clear hierarchy and single line of authority. President Nelson is our spiritual and administrative leader on Earth, and we believe his authority comes from God. So what was it like to hear from President Nelson (pictured above), Elder Holland, one of our apostles who accompanied him on this visit, (pictured below) and their wives in person? Amazing. 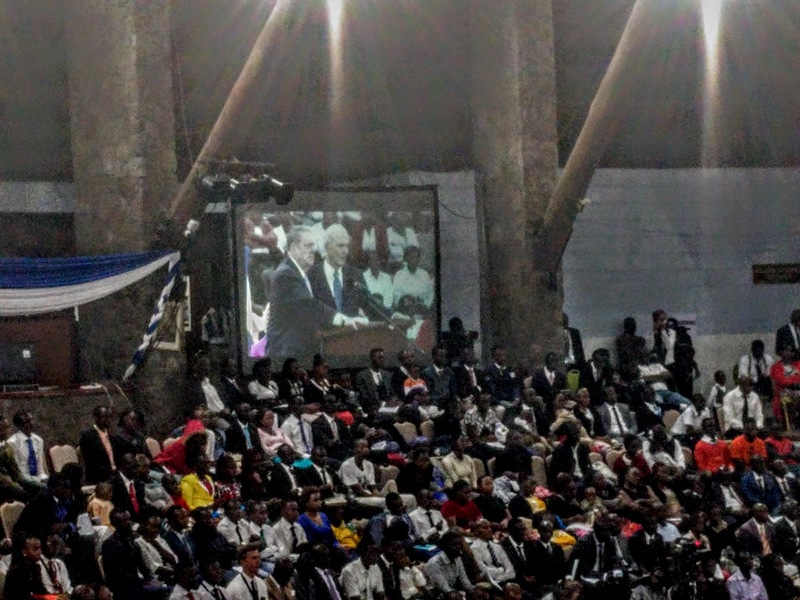 About 2,000 people crammed into Bomas in Nairobi, some of whom travelled days from across East Africa to be there. The spirit of community and fellowship was so strong in the room even as we waited for the speakers to arrive. Being so close to the speakers, it was easy to notice details like Elder and Sister Holland sweetly holding hands in between their talks or President Nelson's vigor and lack of notes or teleprompter. I was also happy that Sister Holland and Sister Nelson (pictured below) were included in the program, not merely to sit next to their husbands on the podium (which is not a lectern) but to provide their own spiritual insights and wisdom, as well. Although the talks were not published or broadcast, Deseret News has decent coverage of them here. There were some serious messages I didn't expect, including the spiritual importance of education, peace among ethnic groups, and even a recommendation to do away with the cultural practice of the bride price, or dowry, if it holds back righteous, loving couples from marriage. At the end of the talks, President Nelson and Elder Holland gave all in attendance a special blessing. I feel so lucky to have been a part of this once-in-a-lifetime experience and to have heard from these inspired leaders. Imagine you're an American citizen, and something bad happens while you're in a foreign country. You need help, and you're not sure how the local system works. You may not even speak the local language. What do you do? Sometimes, the answer is, "Call the nearest U.S. embassy or consulate." If you call during working hours, someone in the Consular section who works in American Citizen Services will assist. If you call on off-hours, though, a Duty Officer picks up the phone. There's no one set person (or even office) who is always responsible for the Duty Officer role, as the hours are tough: after-hours on weekdays and the entire weekend for a full week. So we at the U.S. Embassy in Kenya, for example, take turns. Last week, it was my turn. While I was a Duty Officer, I was responsible for a duty phone. (Of course, it's an iPhone. The State Department is crazy about iPhones.) I would receive calls on that phone (usually redirected from the generic Embassy number), and I'd have to verify that the caller was a U.S. citizen, gather essential information, analyze the situation, and address it or refer it to someone else. Serving as a Duty Officer made me appreciate just how tough Consular work can be, and I didn't even get the most labor-intensive (e.g., going to visit someone in prison) or most technically difficult (e.g., U.S. citizen needs help but doesn't speak English) cases. I did take a call at 1:17am on a Saturday, deflect questions from a guy trying to get medical advice out of me, help find a missing soldier and get him home, and assist a grief-stricken spouse whose husband died. It's interesting but stressful work requiring a lot of compassion and patience. It was all worth it, though, just to hear someone on the other end of the line say, "I'm so glad there was an American here I could call." After all, it's one of the most important reasons the U.S. government bothers to send diplomats overseas - so we're there when there's an American in need. Although I won't deny a huge sense of relief at handing the duty phone to someone else, I'm proud to have contributed my own small part to the Consular effort. We are very lucky to travel frequently and to many different parts of the world. Regardless of where we go, though, some "travel truths" remain constant. One of those truths is that things don't always go as planned, no matter how much planning you do in advance. I post many of our vacations on this blog, but I usually don't dwell on the things that went wrong. In some way, I feel I might've contributed to the overall effect of our era of social media, blogs, and travel lust: filtering our life experiences in the rosiest possible way and obscuring the challenges. Well, here I am doing my part to bust that myth! M and I have missed trains we booked in advance, showed up to restaurants that were closed, trekked to the top of famous vistas only to find the clouds were so white and thick we couldn't see anything, and chosen a hike we thought would be nice only to get bogged down in mud halfway. Our most recent iteration of this phenomenon was our venture to Whakapapa in New Zealand. 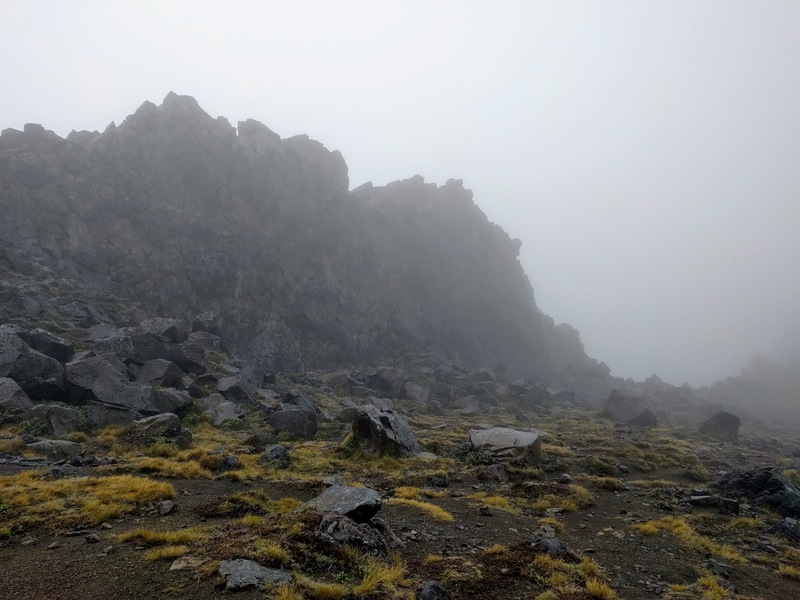 I was so excited to try the scenic chairlift ride to the top of Mount Ruapehu and to dine at the highest cafe in the country... But we learned the day we arrived there that the lift and cafe were temporarily shut down due to visibility and safety issues. We tried our best to make the most of our excursion (and the fact that we were already in the area) and took a short walk from the base of the non-functioning chairlift to Meads Wall, where they filmed part of Lord of the Rings and where we were hoping to catch a glimpse of Mount Doom. Of course, as we were walking, a freezing rain picked up and we could barely see anything due to the clouds and mist. I only captured one photo (above), where you can (kind of) tell that the terrain is similar to where Isildur cut off Sauron's finger along with the One Ring. When you travel enough, it becomes inevitable that you run into these situations. They usually become funny stories later, but at the time they can be so disappointing! So, my advice to fellow travelers is this: especially if you're a planner, make back-up plans (especially when nature and weather are involved). When things go wrong, it's totally fine to be frustrated. You don't have to force yourself to be happy about it - there was probably a reason you included whatever it was in your plan from the beginning. Once you've allowed yourself some time to process your disappointment, I've found it's easier to move on and discover something different and interesting to do with your newfound time. Perhaps you'll even find a hidden gem you couldn't have planned in advance, whether it's a tucked away nature trail or charming café or newfound friend. Who knows? Whatever life has in store for you that day might be even better than you planned. Happy Easter from Kampala, Uganda! We came to visit our friends L and E from A-100 (and because we found a great flight deal). Even though it's the rainy season in Uganda now like it is in Kenya, we still found ways to have a good time in the nation's capital for our long Easter weekend (thanks to Kenyan holidays). 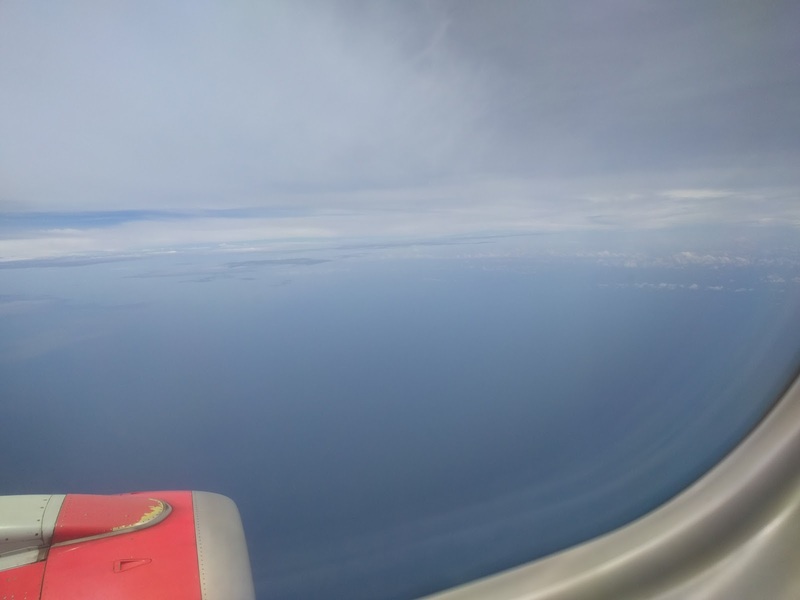 We had no idea how huge Lake Victoria was beforehand. Even from the plane, it was all we could see for a long ways. 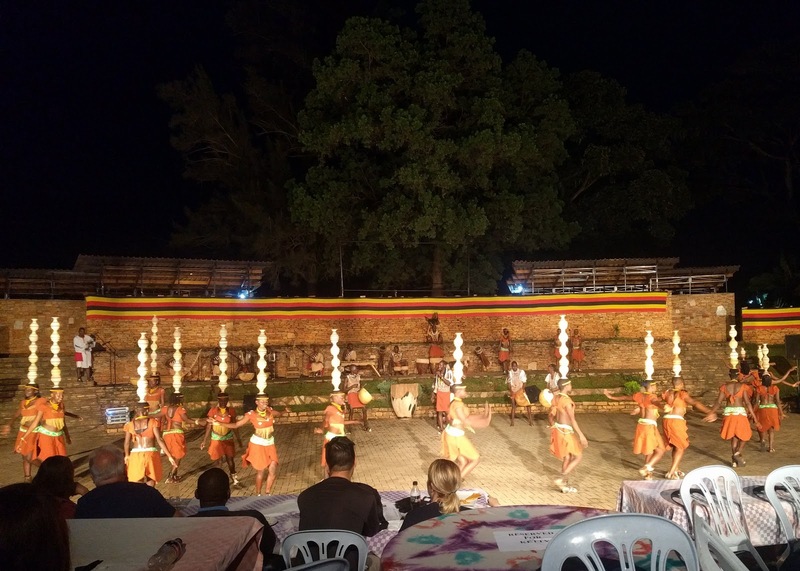 Our first night, we went to Ndere Cultural Center for a dinner and show. The dinner featured Ugandan food, which had a lot of similarities to Kenyan food with a few things we hadn't seen before, like groundnut sauce, which tasted kind of like a watery nut butter. 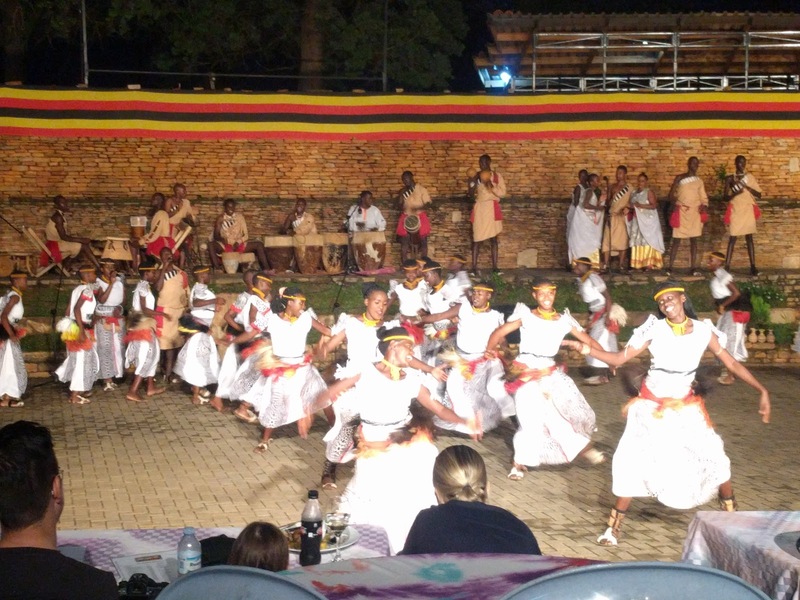 The cultural performances included songs, dances, and traditional instruments and ran over three hours. They fit in quite a few segments in that time, including a dance where women balanced many (up to seven!) pots on their heads at once! Not one pot dropped the whole time. 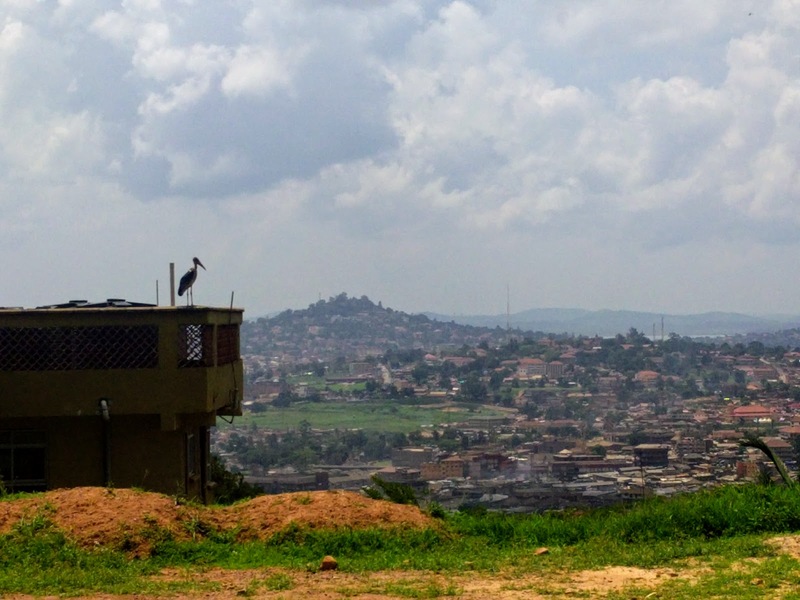 Later in the weekend, we got a chance to explore Kampala some more. 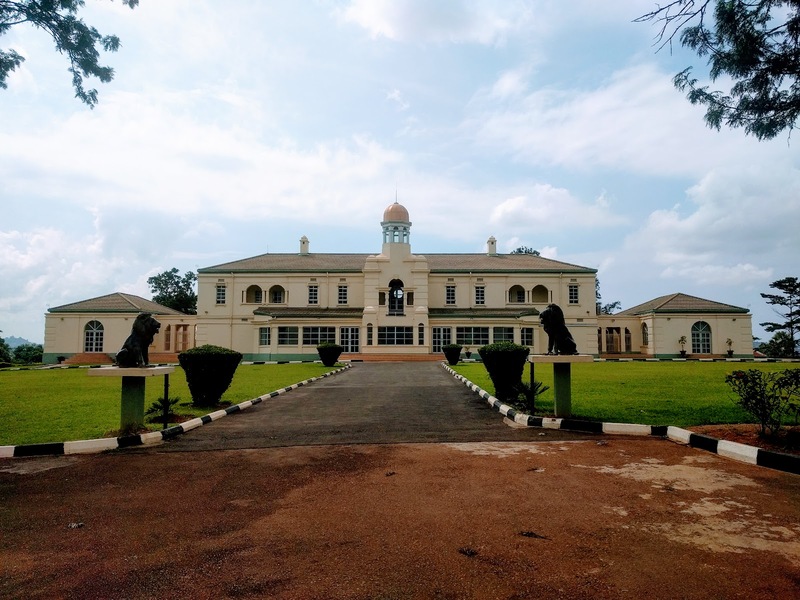 We visited Mengo Palace, which belongs to the King of Buganda, the kingdom within Uganda that includes the capital. The main building wasn't the only point of interest on the palace grounds. 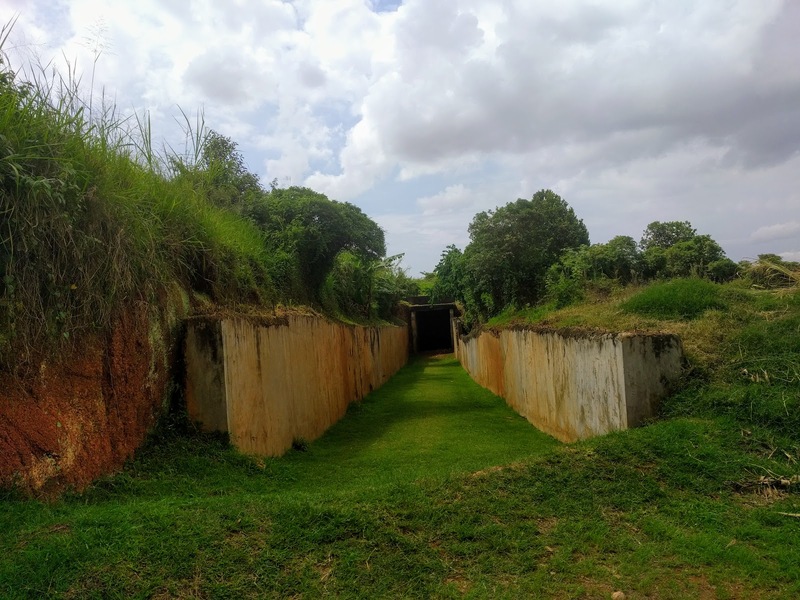 The most powerful part of our tour was visiting Idi Amin's torture chambers. 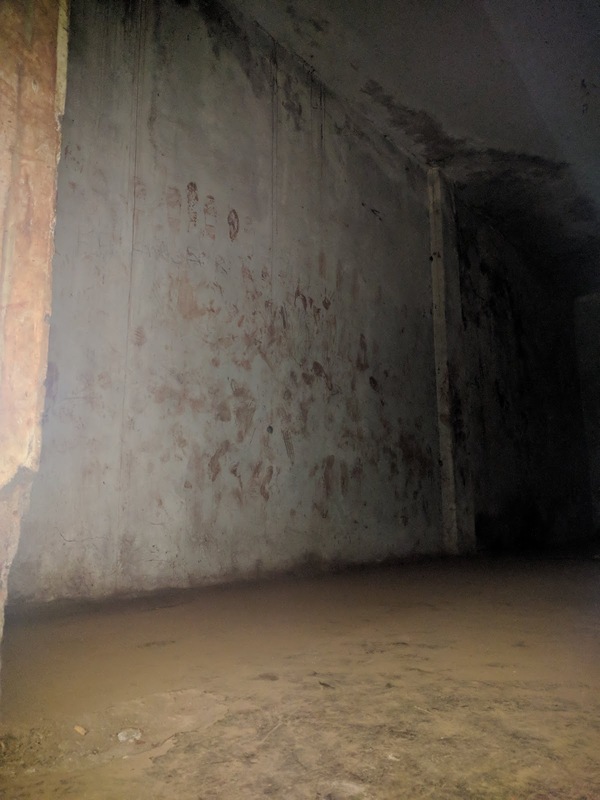 The cells were above the tunnel's ground level, and the base of the tunnel was filled with a layer of electrified water to prevent escape when they were still active. Even though the chambers haven't been used since the 1970s, you could still see the former electrified water line when we visited. 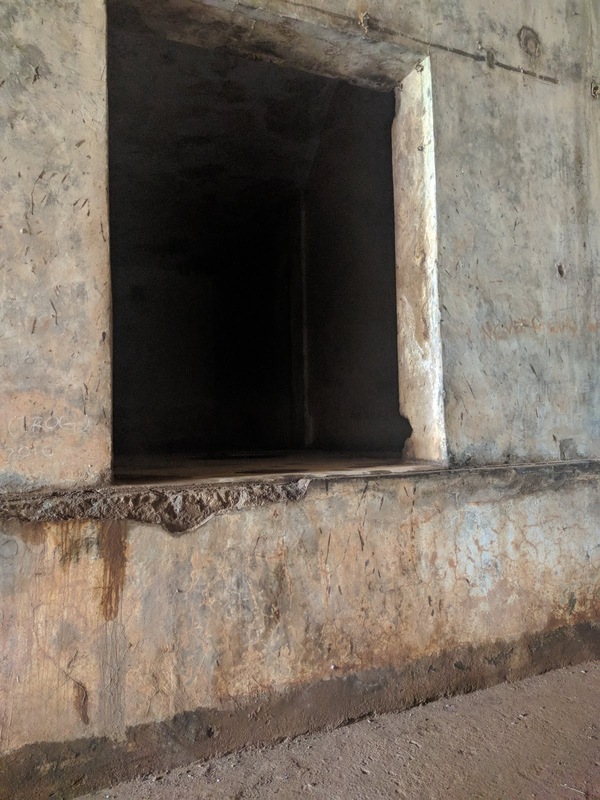 They've preserved the chambers very well, and we could even see the footprints in the chamber where they stacked the bodies of those who had been killed. Our guide told us over 100 prisoners could be kept in one of these cells at a time. It was a morbid experience but one worth remembering (and unfortunately far from unique in world history). After driving past some beautiful cathedrals and historical churches (one from which we snapped the first photo of this post), we dropped by the Gaddafi National Mosque. As the name implies, the mosque was actually funded by the Libyan government under Muammar Gaddafi's leadership. 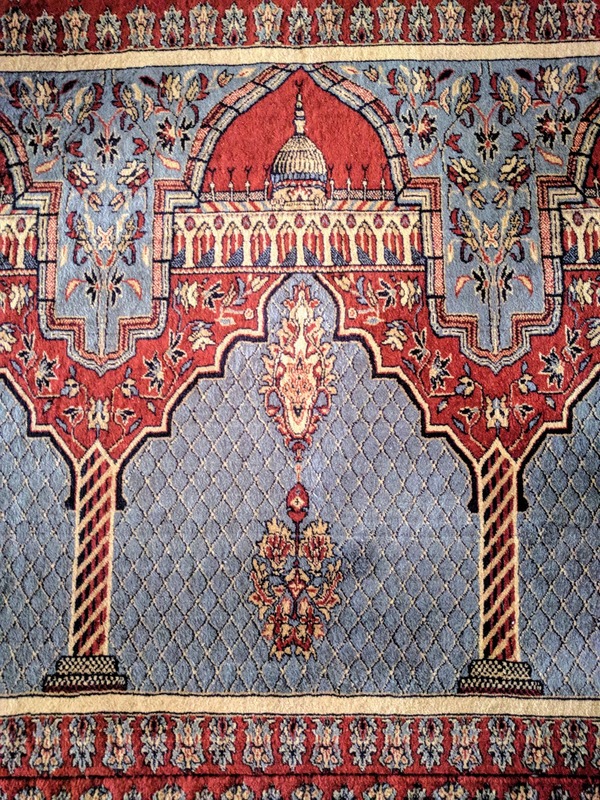 It's truly an international work of art, though, with Libyan carpets, Egyptian chandeliers, Moroccan woodwork, and Congolese wood. 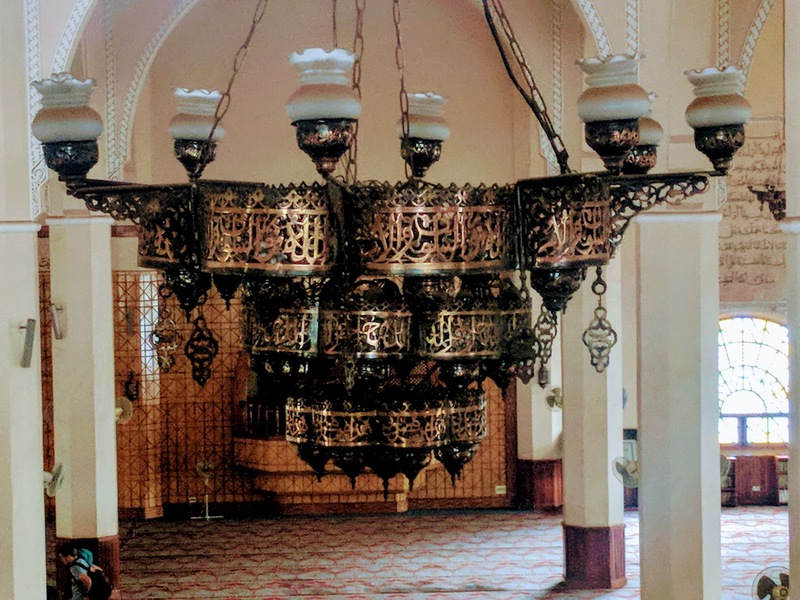 From the women's prayer section on the upper floor, you could really see the beautiful Arabic calligraphy on the chandeliers. We visited the Bahá'í Temple in Kampala as well, which had beautiful grounds. We learned quite a few new things about this faith, like the fact that it has no spiritual leadership but treats all members as equals. We then enjoyed a relaxed Easter Sunday, with church and a bottomless brunch. Especially after the nonstop action of our Australia and New Zealand trips, our chill vacation in Uganda was oh so welcome! We hope your Easter was as nice as ours!